The differences between the Nikon D850 vs. Canon 80D are both evident and subtle. This guide puts these two popular DSLRs head-to-head, and the results may surprise you. Canon’s 80D has a smaller 24.0MP APS-C sensor and a much lower price tag. So why compare it to the costlier Nikon D850? After all, the latter boasts a 46MP full frame sensor and more advanced features? Well, the 80D may have everything you need and thus save you thousands. Likewise, you may decide that the D850 is the only camera that meets your full expectations. The list below shows how I break these Digital-SLRs down to expose their strengths and weaknesses. 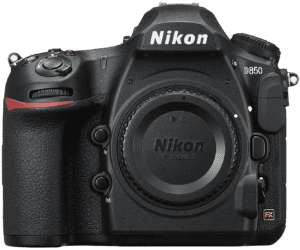 Why Consider the Nikon D850 over the Canon 80D? 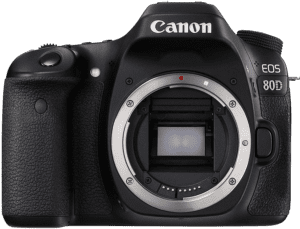 Why Consider the Canon 80D over the Nikon D850? The Nikon D850 and Canon EOS 80D have many shared features that are worth noting. I’ll start with the viewable components of these cameras. Each model has an optical viewfinder or OVF. OVFs are better than the electronic viewfinders (EVF) used on mirrorless cameras. They don’t suffer from framing blackout at the point of capture. That means smoother tracking of moving subjects. Both models have large articulating rear touchscreen displays. They feel natural as most of us use touchscreens with other devices. Touchscreen LCDs are also faster to navigate than physical controls. Creative photographers love articulating LCDs. These screens are invaluable for composing and shooting at awkward angles. It also means no more guesswork and fewer wasted shots. Each camera sports a top LCD that adds further to its ease-of-use. They provide a quick way to view and change camera settings. Top LCDs are also ideal when shooting with the camera lower down. These cameras share a few external features, too. They have microphone ports that are vital for DSLR videographers who demand superior audio. Their headphone ports also assist better video control. A more obvious shared feature are the cameras’ hot shoes. The hot shoes are there to accommodate camera-compatible flash units and various other electronic accessories. Another welcome aspect is the high-speed memory MicroSD card slots. The Nikon D850 supports the UHS-II whereas the Canon uses the slower UHS-I. They both read and write data at incredible speed. Environmental sealing is something else these cameras have in common. Not all DSLRs provide weather sealing. It’s a valued feature that helps to shield the delicate electronics from harsh weather. On the remote connectivity front, we have WiFi, NFC Connection, and smartphone remote control. WiFi and NFC provide quick and easy wireless connections with other compatible devices. Using a smartphone or other smart device to control certain camera functions can prove invaluable. RAW file support is standard as you might expect with high-end DSLRs. Perfectionists prefer to shoot in RAW. That’s because it gives them far greater monitor editing potential than the processed JPEG files. OK, let’s finish on the shared shooting modes for these popular Nikon and Canon cameras. They include Face Detection Focus, AE Bracketing, fast shooting mode, and Time-lapse Recording. Face Detection Focus may not be the go-to function for pro-level photographers. Even so, no one can doubt its usefulness in portraiture. After all, it bypasses those more technical sides to facial focusing. AE Bracketing—also Auto-Exposure Bracketing or AEB—is priceless in tough lighting and HDR. Taking several auto shots at different exposures increases the potential for a perfect result. Sports and action photographers demand fast shooting speeds. The D850 and 80D can shoot at 7fps (frames per second). Capturing several shots in quick succession is how award-winning photos occur. Finally, we have the Time-lapse Recording feature. It probably eats through batteries more than any other function. Still, the results can be the most creative and captivating in modern photography. The size and weight differences of these cameras are apparent to the look and touch. Let’s begin with the frontal view (width & height). The Nikon D850 is around 24% larger than the Canon 80D. Nikon’s D850 is markedly heavier by almost 38%. The interchangeable d850 compatible lenses also add to the carrying weight of either camera. The Canon 80D has a smaller sensor than the Nikon, and that matters. Smaller sensors usually mean lighter, more compact lenses for comparable focal lengths and apertures. You can already see that the Nikon is the more cumbersome of the two models. Canon 80D Width: 5.5” Height: 4.1” Depth: 3.1” Weight: 25.8 oz. The cameras couldn’t be more different from above. The most noticeable is the shapes and layout of the physical controls on the right sides. The D850 also has more button clutter on its rear left. Both cameras have large LCD screens but with differences. The one on the Nikon D850 is a 3.2” tilting touchscreen with two hinges at the top. The Canon 80D has a 3” fully-articulating touchscreen. Another difference is that the Canon has a pop-up flash built into its body. Photographers don’t rush to use built-in flashes, but many of them still complain if their camera doesn’t have one. Something the Nikon D850 body has that the Canon 80D lacks is an extra card slot. No one ever complains about too much memory, but then the D850 does need more image storage. Nikon first announced its D850 on July 25, 2017, and it’s been a huge success. This section looks at all the advantages the D850 has over the cheaper Canon 80D. There are many reasons why people would choose the Nikon D850 over Canon’s 80D—given a choice. The much higher price, though, is not likely to be one of them. The D850 has a max sensor resolution of 46-megapixels which is better than the Canon. It has 91% more pixels than the 80D’s 24MP. It also has a 34% larger sensor pixel area. Short battery life is one of the bugbears of modern power-hungry DSLRs. Well, the Nikon D850 boasts 1840 shots on a full charge to the Canon 80D’s 960 shots. That’s 880 more frames per single charge. The D850 has double the shutter life expectancy than the 80D with 200,000 cycles. The Canon’s shutter mechanism needs changing after just 100,000 cycles. Photographers never have enough storage, and the D850 has two card slots to the 80D’s one. Another point to the D850 is its illuminated buttons. Lit controls can be invaluable when shooting in the dark. Both cameras have large LCD screens, but the D850’s is bigger by 0.2”, or 3.2” vs. 3”. The Nikon also has a higher resolution screen by 126%. The numbers are 2.359k dots to 1.040k dots. Something else the D850 body has that the 80D lacks is a flash sync port. Off-camera flash lighting is far more flattering for portraiture and other studio work than forward-facing light. Many modern photographers value Bluetooth connection, and you’ve got it with the D850. Focal features and focus superiority easily goes to the Nikon D850. It has 153 focus points to the Canon 80D’s 45, a difference of 108. It also has 54 more cross type focus points with 99 vs. 45. Our Nikon here has Focus Bracketing too. It’s a feature that takes several photos while shifting the focus point (focal distances). The result is a final image with greater DOF or depth of field. Low light autofocus (AF) capability is better with the Nikon D850, including Live View. It has an exposure value (usually shortened to EV) of EV -4 to the 80D’s EV -3. Finally—on the focus strengths of the D850—is its ability to autofocus with a smaller f/8 aperture. That means it can autofocus in lower light conditions than the Canon 80D, and with teleconverters. Now onto “higher performance” with the Nikon D850. It has a 60% higher max ISO than the 80D with 25.600 to 16.000. It also boasts better high ISO performance at 2660 to the 80D’s 1135. Color depth and dynamic range are also higher with the Nikon D850. The comparisons are 26.4 higher color depth vs. 23.6. And the D850’s 14.8 higher dynamic range beats the Canon’s 13.2. Max Video Resolution is also higher with the D850 at 3840 x 2160 to the 1920 x 1080 of the 80D. The final strength of the D850 is its ability to produce 8K resolution time-lapse videos. That’s an impressive list of strengths the Nikon D850 has over Canon’s 80D DSLR. The next section is much shorter. Even so, the cheaper Canon still wins a few brownie points over the Nikon. Canon announced its EOS 80D to the world on February 18, 2016, and it’s been a big hit ever since. The first and most obvious benefit it has over the Nikon D850 is its price tag. Costs do fluctuate, but you can expect to save well over $2,000 by choosing the Canon DSLR. It’s a good-looking camera and one that fits into the hands easier than the Nikon D850. The size and the 285g lighter body are things photographers with smaller hands appreciate. Nikon’s D850 doesn’t have a pop-up flash, but the EOS 80D does. Most photographers avoid built-in flash if they can. Despite that, a pop-up flash is still useful for unexpected opportunities in low light. Let’s not forget the fully-articulating touchscreen that offers more flexibility than the D850’s tilting LCD. The screen on the EOS 80D not only pulls out, it swivels and rotates too. There may be some minor performance benefits in a few areas as well, but nothing major. The ones above are the 80D’s most apparent strengths over the Nikon D850. No camera is free from weaknesses, not even at the pro-level. But shared weaknesses between two very different DSLRs is unusual. I could only find one after reviewing the models side by side. What neither model has is sensor-based image stabilization (IS). It’s a drawback because it forces photographers who want IS to invest in image-stabilized lenses. Lenses with optical stabilization (OS) cost more than regular glass. The EOS 80D has the Canon EF/EF-S mount for which there are 304 80d compatible lenses available. Out of those, only 91 have optical stabilization. The D850 has the Nikon F lens mount for which there are 287 lenses available. Out of those, 88 provide OS. Nikon marks its stabilized lenses with VR which stands for Vibration Reduction. Both camera companies must be proud of all the positive feedback these cameras get. Real user reviews tell us more than the sales spiel ever could. I’ll start with reviewers’ thoughts on the D850. 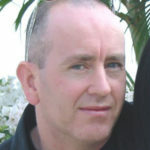 Photographers write about the outstanding photo quality and image sharpness even though they expect it. And the rear touchscreen gets praise for its bright display and responsiveness. Some comment on the fast autofocus (AF); mostly folks coming from older cameras. Compared to earlier models, people applaud the better grip, enhanced viewfinder, and longer battery life. It’s pretty much all praise for the Nikon D850 aside from a few personal dislikes. A few of these include the battery-draining Snapbridge, dated menus, and no built-in pop-up flash. Overall, though, the user reviews across the web for the D850 couldn’t be better. There’s more feedback for the Canon EOS 80D because of its broader appeal. More user feedback also leaves extra room for criticism, but it still rates well. Not as high as the D850, but not far behind. Most users love the fully-articulating vari-angle touchscreen. Reviewers also talk about the quality photos. The most positive feedback for image quality, though, comes from those who shoot in RAW. The handy top-mounted LCD gets a big thumbs-up. Others include the conveniently located card slot and battery access door. Canon fans also value the extensive range and quality of available lenses. Vloggers seem happy with the 80D’s video capability for a camera in its class. The mic and headphone ports are also welcome among videographers, but a few complain about no 4K. Some other shared likes include solid build, fast 7fps burst, and the layout of physical controls. Reviewers also appreciate the user-friendliness of the 80D, fast focus, and its overall value. You can find more personal criticisms for the Canon EOS 80D than the Nikon D850. Many of these are observations or wishes rather than serious drawbacks. There are very few shared gripes, though. Most of us make camera decisions based on real user feedback, at least in part. Both the Nikon D850 and the Canon EOS 80D rank incredibly well in the eyes of their respective owners. There should be no doubt which camera meets your needs and expectations if you’ve read this guide. The costlier Nikon D850 has a lot of quality bells and whistles, but do you need them all? The Canon EOS 80D is also incredible value for a Digital-SLR in its class. It falls short in many areas compared to the Nikon D850. Yet it still has everything some photographers need and more besides. The Nikon is clearly the superior camera when it comes to quality features, specs, and functions. That doesn’t necessarily mean it’s the best choice for YOU, though, or does it?